PlanBoard is a reusable component for Omnis developers. 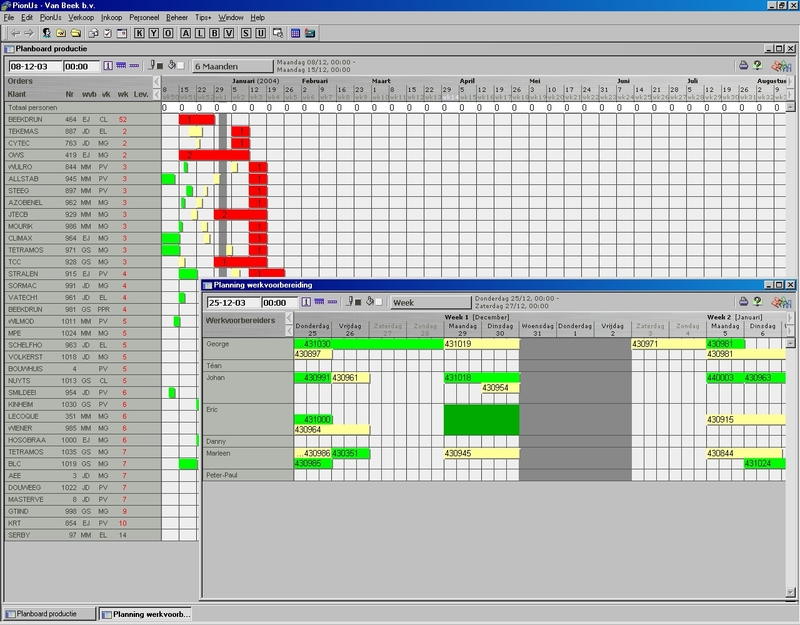 PlanBoard allows you to easily add advanced interactive scheduling to your Omnis applications. Since its first release in 1998, many Omnis developers worldwide have discovered the power of PlanBoard to enhance their applications. PlanBoard was written entirely in Omnis: There are no externals to install. Developers receive the Omnis source code allowing them to easily customize the product. Independent of data model and application interface, PlanBoard can easily be used not only to graphically display time slots but to also create, modify and delete them using a drag & drop interface. PlanBoard for Omnis was proven very successful in a variety of scheduling and visualization applications including planning of people, machines, rooms, broadcasts, advertising, satellite traffic, medical appointments, project planning, car rental etc. PlanBoard runs on all Mac OS and Windows versions supported by Omnis and will easily integrate into your existing or new applications. PlanBoard was built on top of MasterStudio, Master Object AB's enterprise application framework for Omnis Studio developers. 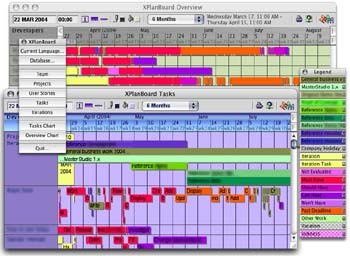 Above: PlanBoard running on Windows XP. Above: PlanBoard integrated into a developer task planning application on Mac OS X. No Externals—Just Omnis. Most classes come unlocked!